In case you haven’t heard The Fairy Tale Fair is today! Join us from 10.30am at Patcham Methodist Church, Ladies Mile Road, Brighton. 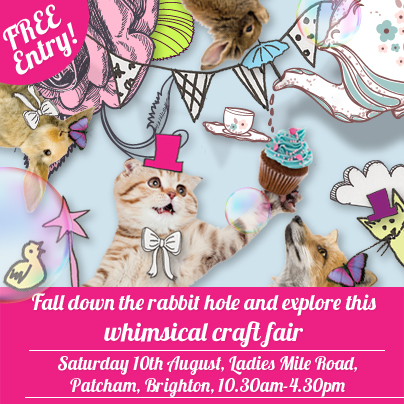 Crafts, jewellery, vintage, face painting, workshops, kids fun, charity RSPCA Brighton raffle, vintage tearoom and more!! Can’t wait to see lots of you today! Well time is flying quicker than the fairies and our fair is now just one week away! This time next week our fair will be in full swing with over 35 craft, jewellery and vintage stalls, our craft workshop room (polymer clay jewellery making, sweetie butterflies, make a felted animal or gift a felt soap, beaded jewellery making and more), vintage tearoom, RSPCA charity raffle, face painting and much more! So make sure you don’t miss out! 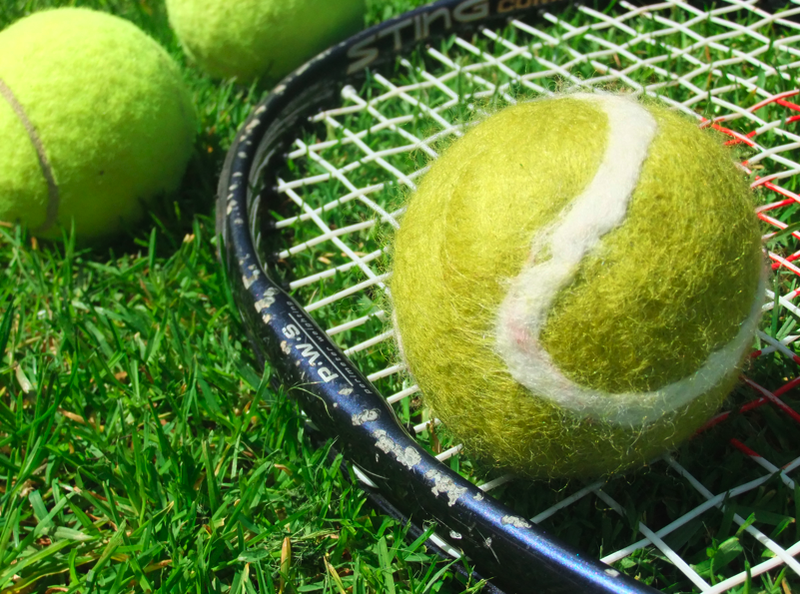 We’ve plenty to keep the kids entertained so bring the whole family along. There is free parking and buses 5 and 5A Patcham stop just a minute away (ask for Patcham Clock Tower stop). 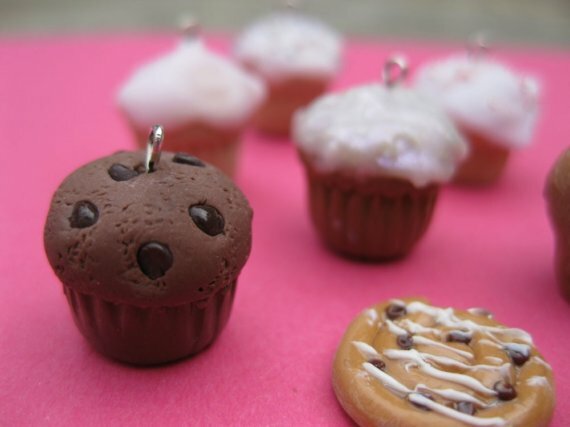 Hi, I’m Caroline of MiniPatisserie. 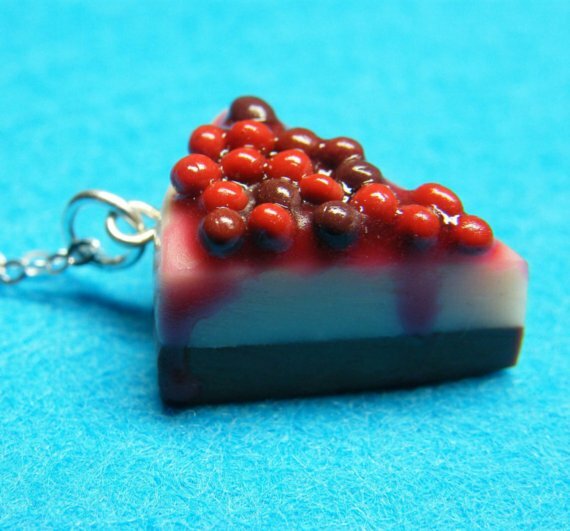 I make jewellery with my own handmade charms. I ran a craft workshop at the spring fairy tale fair which went really well. 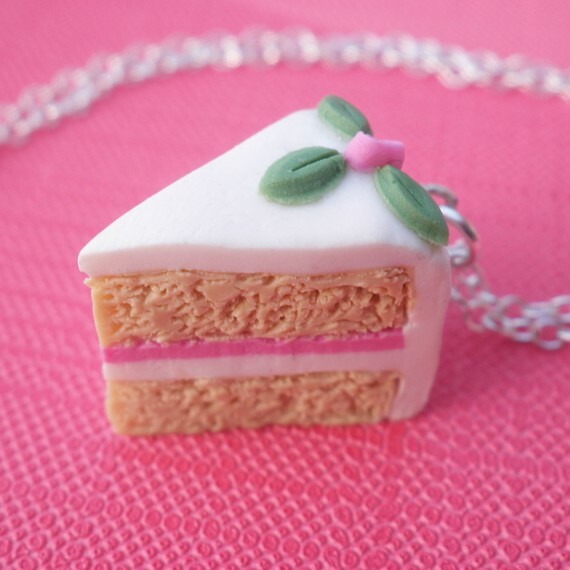 This time there will be an even wider range of bits and pieces to decorate, including pizza slices, cakes and animal shapes and also more things to make with them (jewellery, key-rings, bookmarks and phone charms). 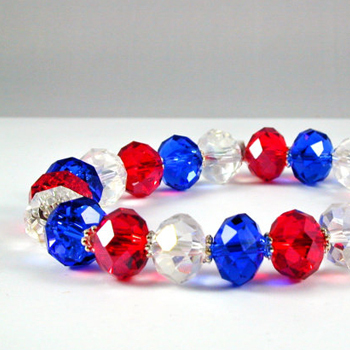 There will my own handmade jewellery on sale as well. Photos of the creations from the last fair can be seen on my website www.minipatisserie.co.uk. See you in a few weeks! “I enjoy playing mostly, that buzz of not knowing how it will turn out, the buzz when you imagine how something will be and then do your very best to create it.” – Annmarie. I’m Annmarie Hughes. I trained as an illustrator but found I was more fine art based. I use bold colour acrylic on canvas or stark black and white ink on canvas to create an ambience of either uplifting harmony or disturbing discord. 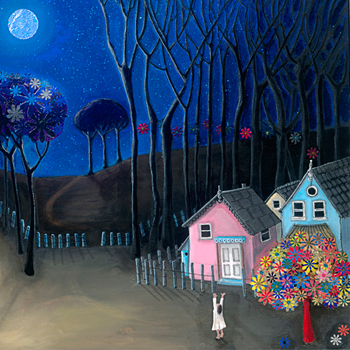 My work depends on mood and I use painting as a form of expression. 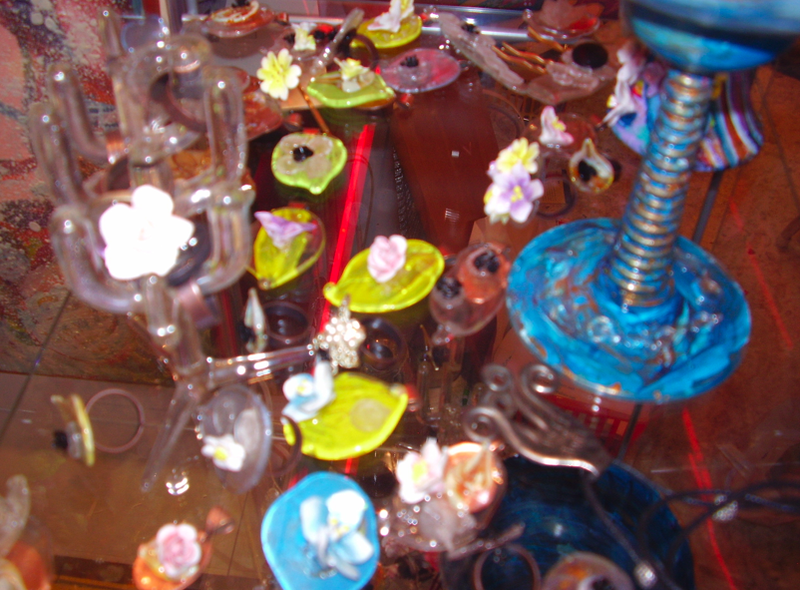 I found a passion for craft in 2010 whilst using broken pieces of decorative glass my father had made before he died to create jewelery and pieces of objed’art. 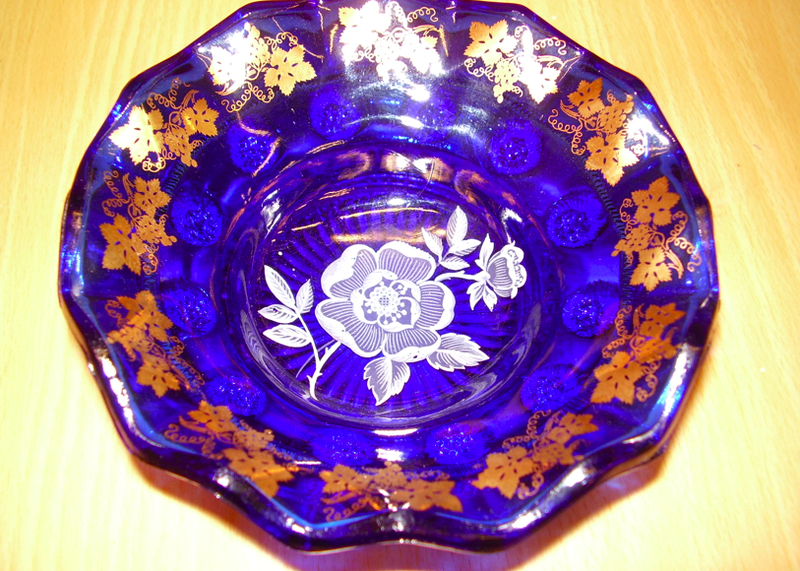 I then expanded into decorative ceramics using decals, decorative glass using decals, dicroic glass making, and glass painting. I now combine these areas to experiement and make lovely things. How long have you been making your creations and how did you get into it? I have been drawing and painting since I was 5yrs old. I came to Brighton to study illustration in 1999 and graduated in 2002. I started to experiment more with craft after my mother passed away and I could not bare to throw my fathers broken creations away so worked towards re-using them. I also bought a mini kiln in 2010 and started to use decals left from my mum and dads glass business to decorate ceramics. In the past few months I have been experimenting with dicroic glass which I enjoy immensely. I enjoy playing mostly, that buzz of not knowing how it will turn out, the buzz when you imagine how something will be and then do your very best to create it. 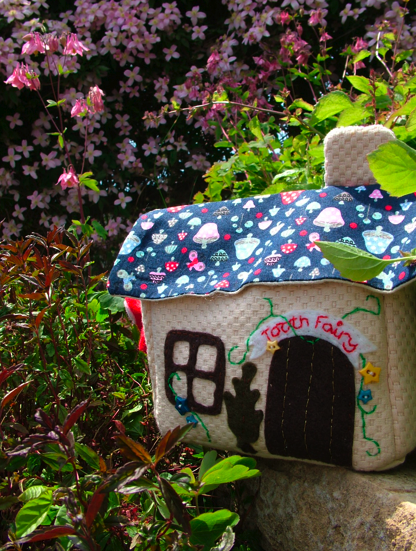 You will be taking part in a craft workshop at The Fairy Tale Fair- what will yours involve? Demonstrations of Dicroic Glass making Glass jewelery making Decal application to ceramics Glass painting Kiln operation I will include fact sheets and there will be a workshop sign up sheet if anyone would like to take part in any workshops starting in September. 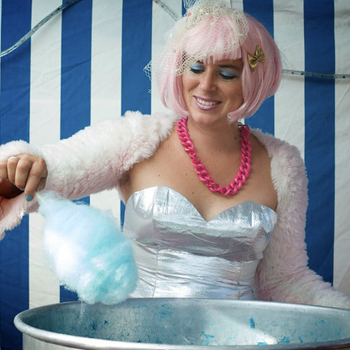 This will be your first Fairy Tale Fair- are you looking forward to taking part? Absolutely cant wait, the effort organisers put into this show is amazing and I am honoured to be part of it. How can we find out more about you? I work in PR 4 days a week after taking the decision in January to go part time and focus on my creative ventures one day a week. I started making cards and gifts for friends and family and they always commented on how nice they were but I just thought they were being kind. It was amazing when I did my first market a couple of years ago and strangers bought my creations! 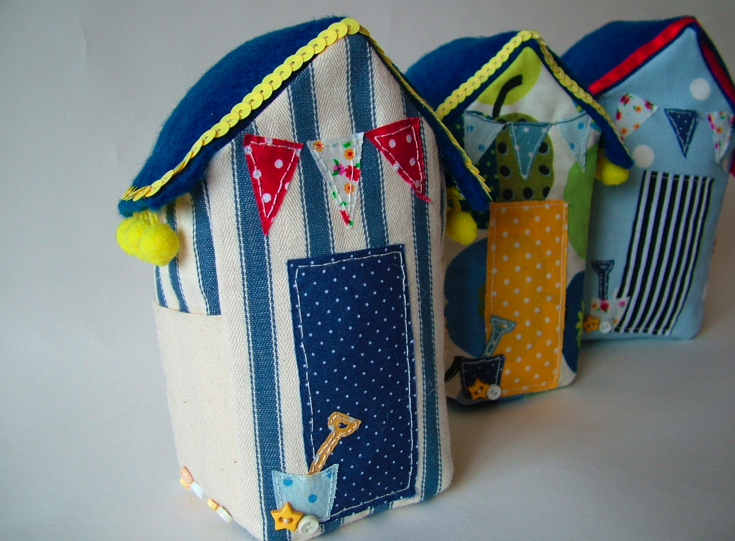 It has given me a lot of confidence and I love meeting new people at fairs, markets and crafty get-togethers. 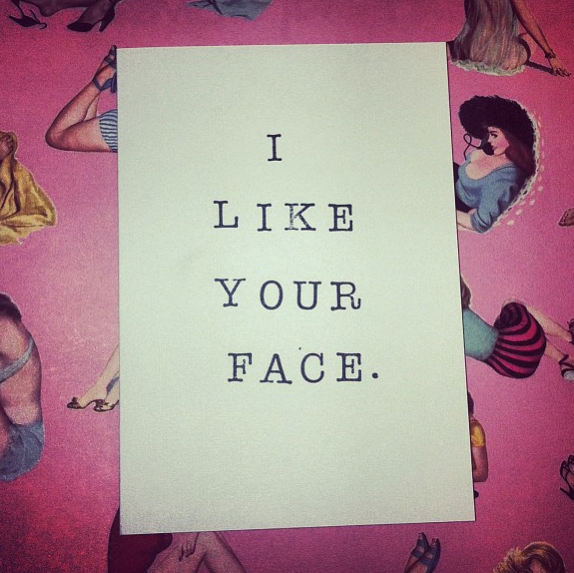 I mostly produce greeting cards with stamps and stenciled, using typography to make people smile. 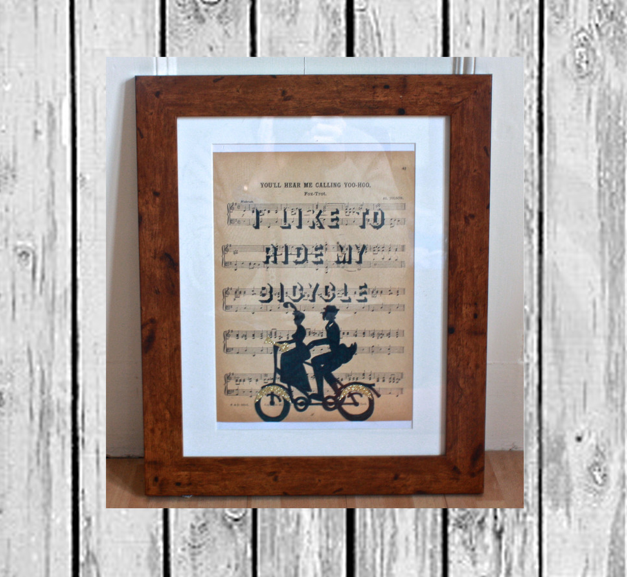 I also make pictures using sheet music and decoupage that I love as they are all one of a kind. 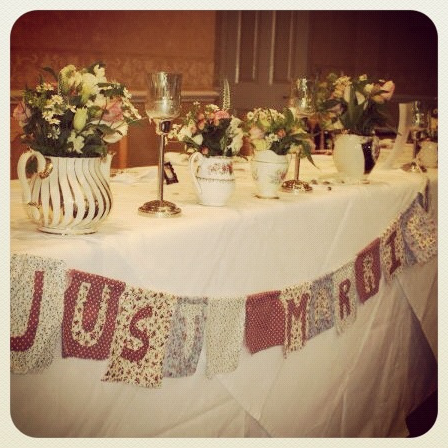 I also enjoy event styling so I have spent the last few summers making weddings look pretty too. Fun and quirky. 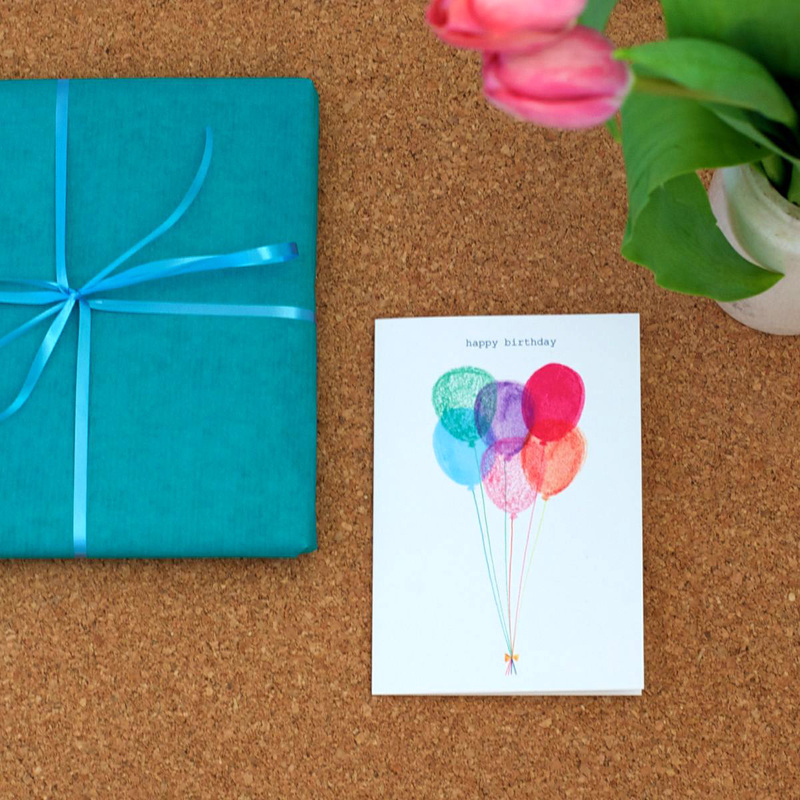 I love nothing more than to see people smiling when they read my cards. Some of them are quite cheeky so there’s often an element of surprise! 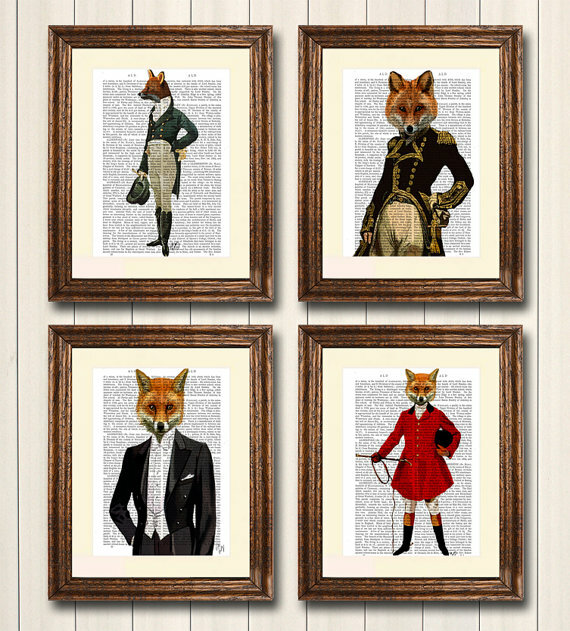 I did my first market a year and a half ago and since then I have been doing as many as I can – I’m really excited to be joining the Fairy Tale fair in August, as it’s a great opportunity to meet other clever crafty Sussex folk! It depends where I am selling. 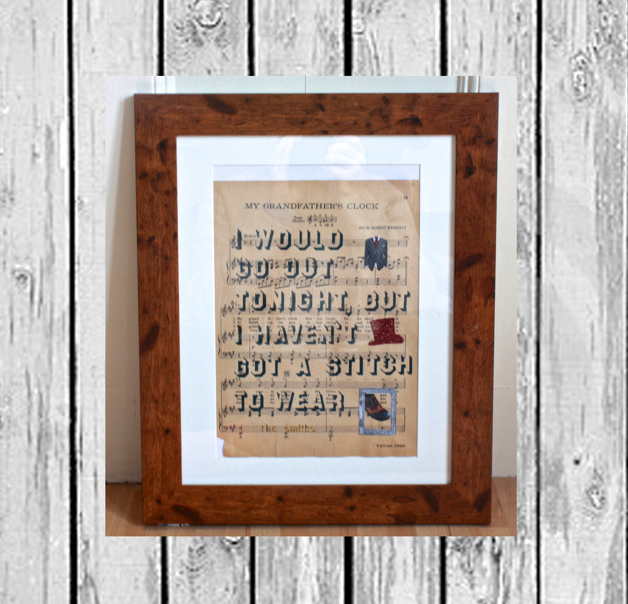 If I’m at fairs and people can see my work then the pictures always go down well and it’s always nice to be able to have a bespoke gift made. My cards always get a laugh though too! I love talking to people that come and see my stall as it’s the best way to find out what makes your potential customers tick. It’s a massive help for the whole creative process too. 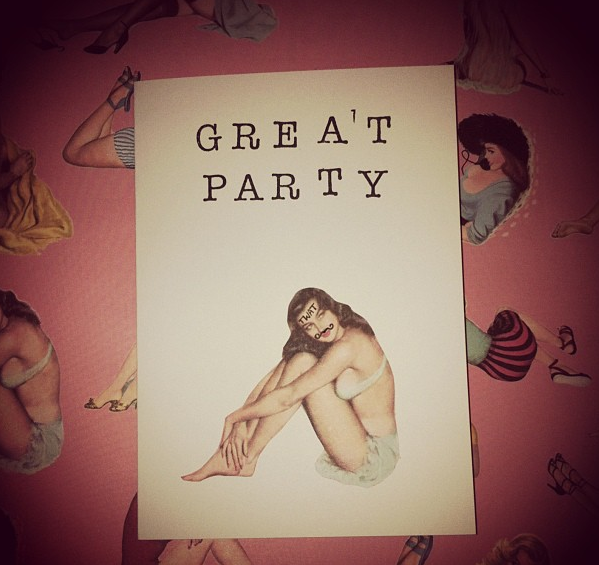 I keep a little notebook with me to take note of any weird and wonderful things that pop into my head so I love it when I create a card based on my ramdom thoughts and observations and them somebody else appreciates the humour as much as I do! I have been building up my fair and market presence recently, so it’s really interesting to see the different types of people that go to all the different events in Sussex. 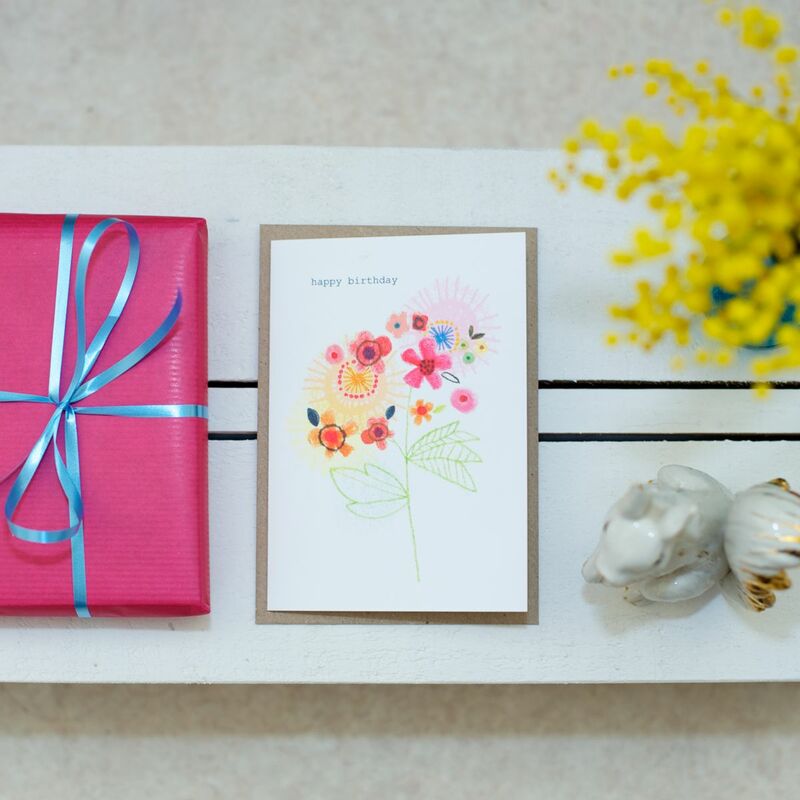 I’m working on having some of my pictures and cards at my first open house this Christmas – which is very exciting! Once I have my website up to scratch I’m looking forward to putting some of my PR knowledge into practice and spreading the word about Bets & Bobs. 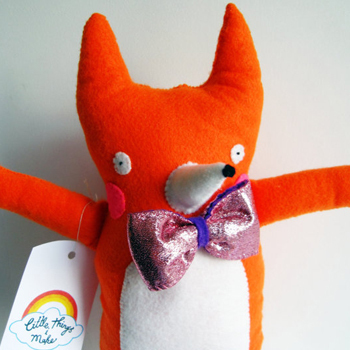 My ultimate dream would be to have my own shop that sells my creations and other designer/makers in Brighton/ Sussex – it’s nice to be ambitious! 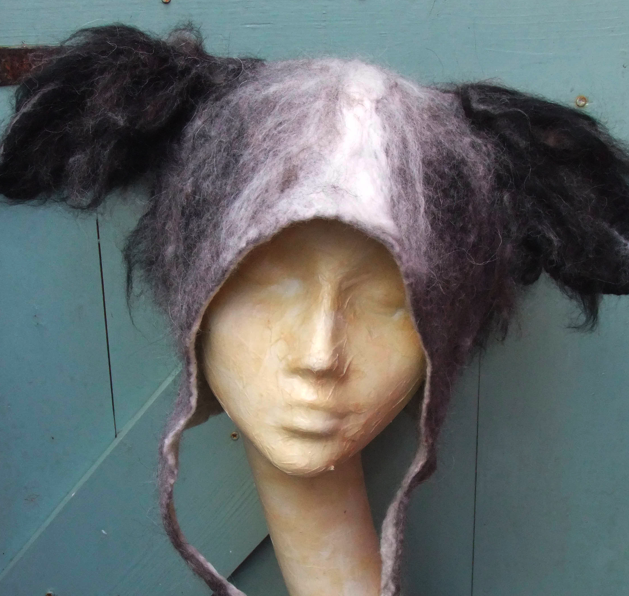 I am a Felt Artist who creates hand felted wall art and accessories, from doggy eared hats to dainty corsages, felted pebbles to cheeky monkey wall art for kids. My source of inspiration is constantly evolving with new surprises always in store! Look out for my Summer Ice Lolly Collection! How long have you been felt making and how did you get into it? I created my first wall hanging five years ago. 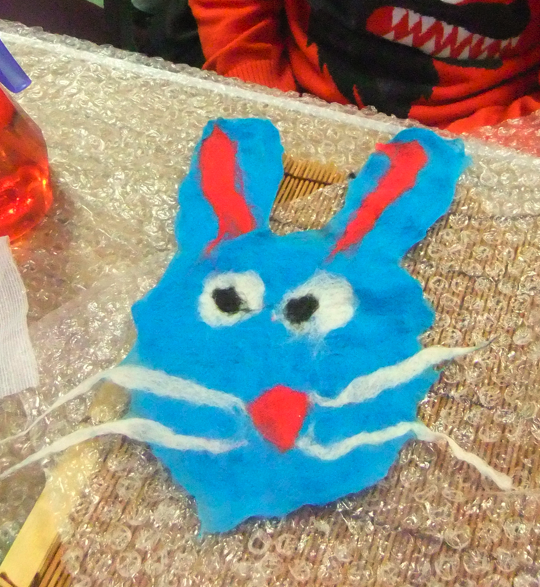 After stumbling across felt making at a children’s art day in The Brighton Museum, I was inspired. I needed a picture for my living room. I created one with my kids, then made another one and another ….. 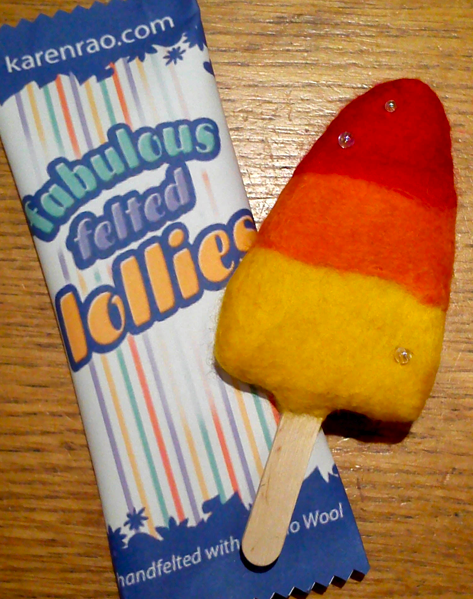 I take part in Craft Fairs and hold workshops at events, schools and privately, so hopefully I too, am helping to inspire all ages new to felt making. Felt is so versatile. This medium is perfect for creating the highly tactile and vivid coloured qualities that I love. Further texture can be created by blending plant and animal fibres during the wet felting stage and also after this by needle felting. I can create two dimensional and three dimensional art. 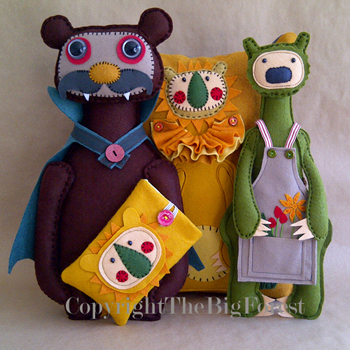 The uses of felt are endless, it means I am constantly learning and experimenting …. and changing direction. Mouthwatering Lolly Art! 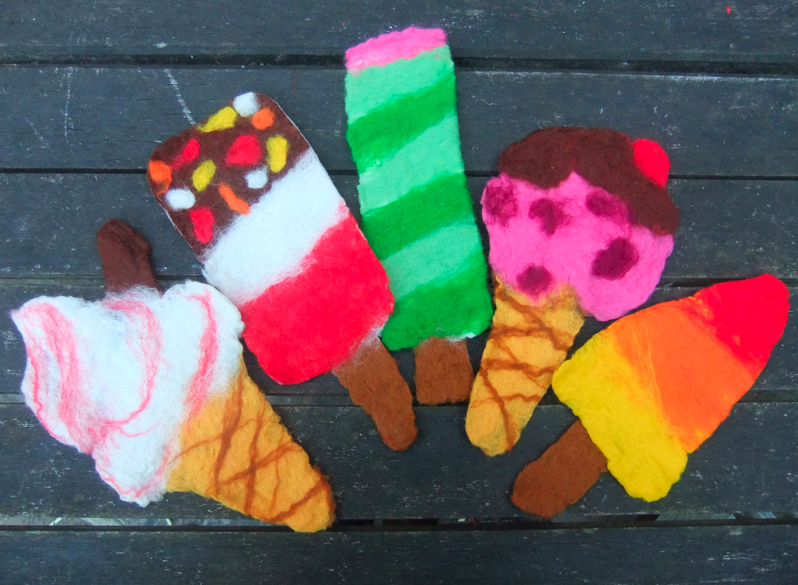 We will be wet felting our own Ice Lollies and Ice Cream Cones inspired by the Great British Summer! 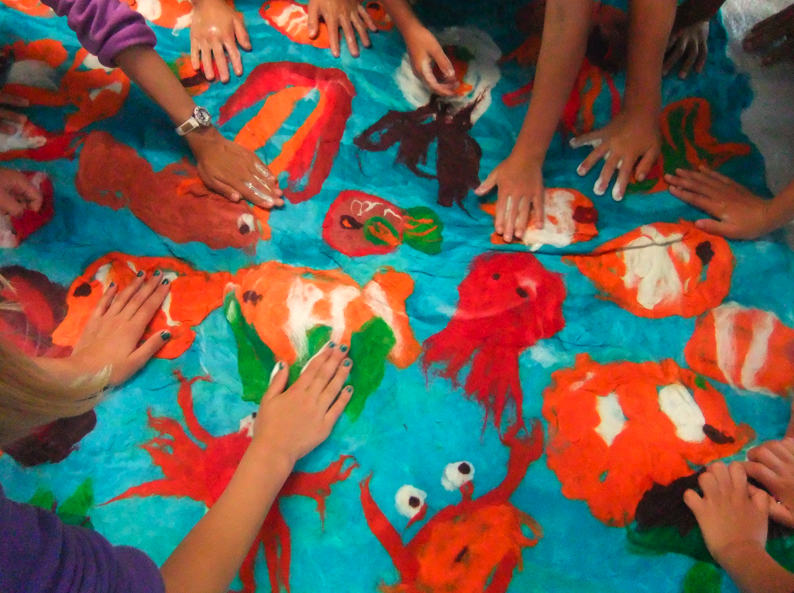 This involves using just wool, soap and water to create our very own works of art! 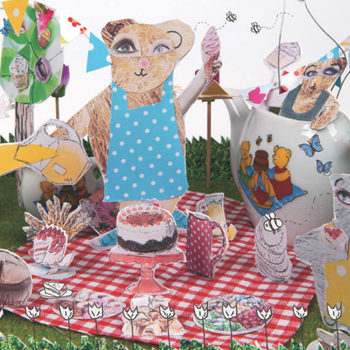 You took part in our Spring Fairy Tale Fair- did you enjoy it? I really love showing people the wet felting process and seeing their fascination as their pile of wool transforms into a felted work of art. It’s also very relaxing and therapeutic – no rushing around at this table! At other fairs now people often come up and say they’ve taken part in one of my Fairy Tale Workshops! 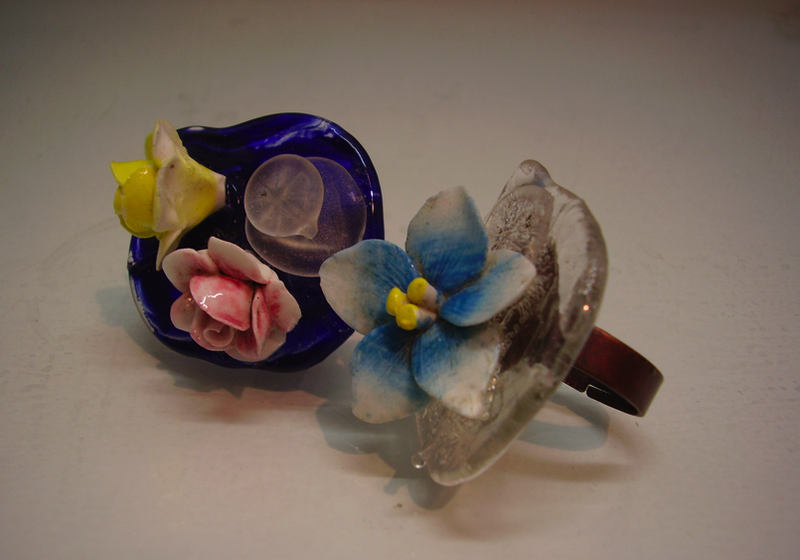 I make jewellery from recycled materials, Japanese papers, resin and sterling silver. 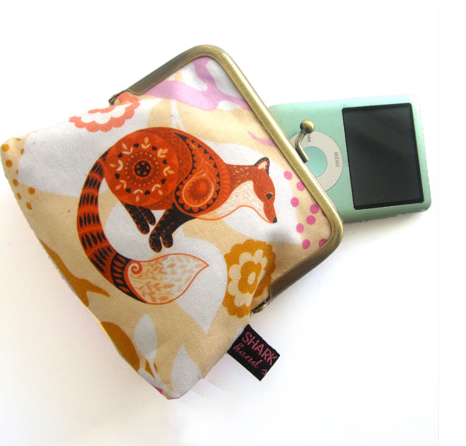 I really enjoy sewing too, so I also make purses decorated with original animal designs as well as some very popular hand-sewn otters! I trained as an illustrator, but eventually grew tired of working digitally on things I didn’t enjoy. I am so much happier working with my hands and creating beautiful things. 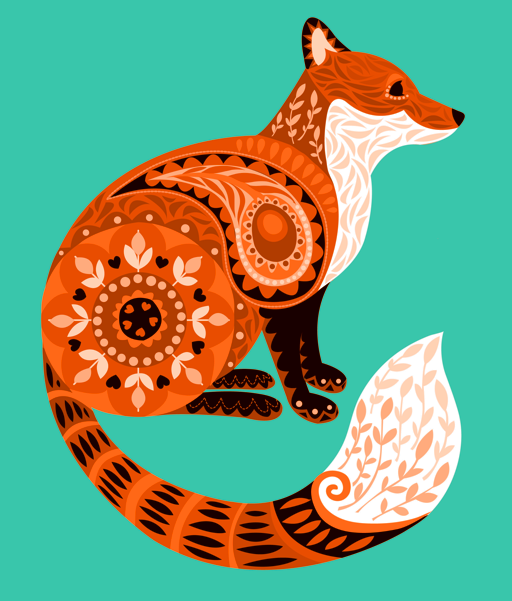 My style is inspired by colour, pattern and, most importantly, animals. I have loved nature and natural forms since I was a child and they continue to fascinate and inspire me. I also like a good graphic shape, so all of these ideas get thrown into the Shark Alley pot. Since January 2010, but I have been crafting since childhood. 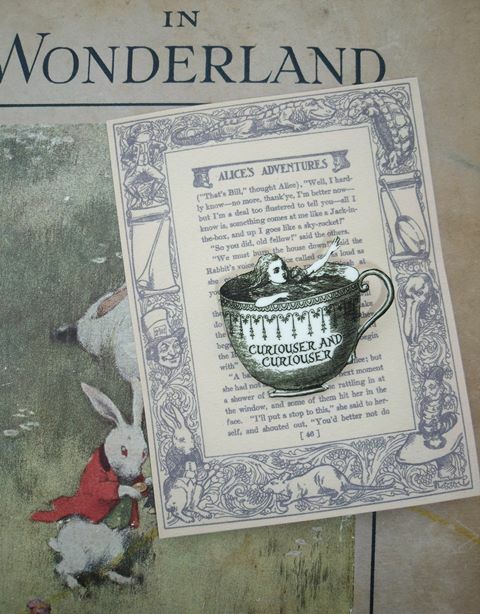 It really depends on the event, but the little mixed-media hare brooches are very popular. 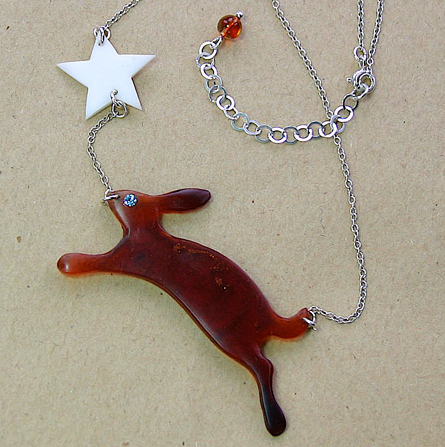 The leaping hare & star necklaces and the fox print (which appears on my purses as well as being available as a large print) are also big favourites. 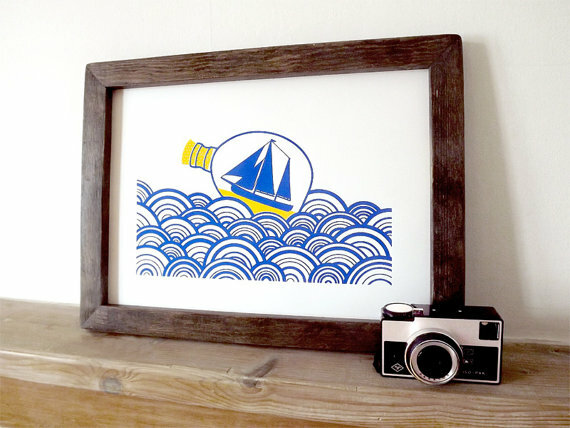 I have gone from being an under-confident, struggling illustrator to a happy designer-maker. I have so many ideas to make and get out there! Once the initial designing and trial-runs are done, I love the making process the best. 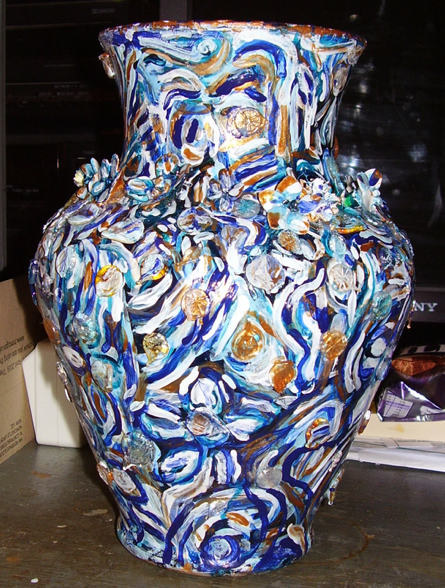 I put a lot of care into each piece and make sure they are finished to a high standard. 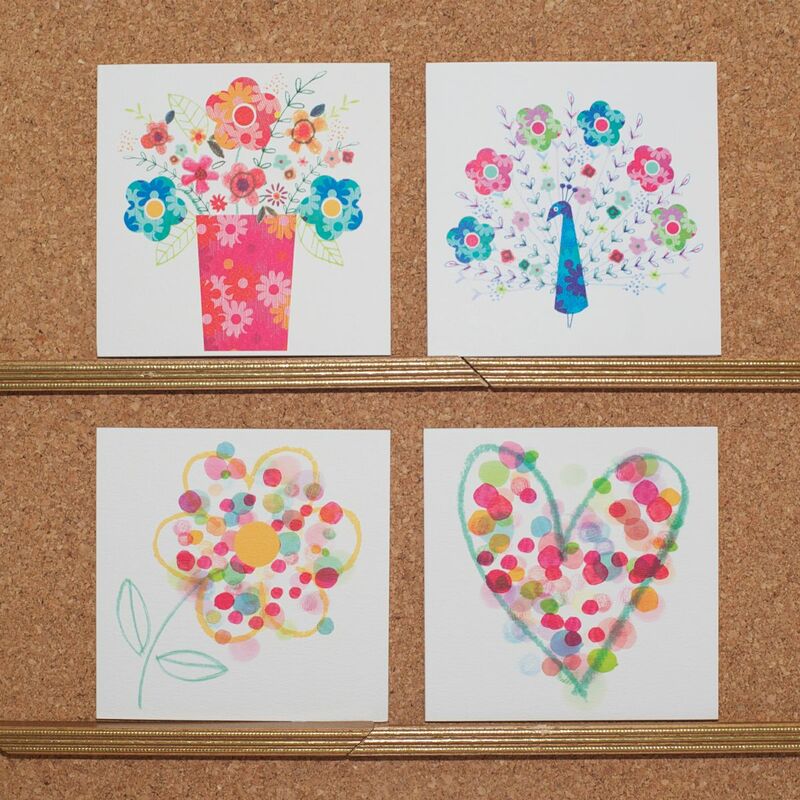 I love selling to lovely customers too – the positive feedback makes it all worth while. 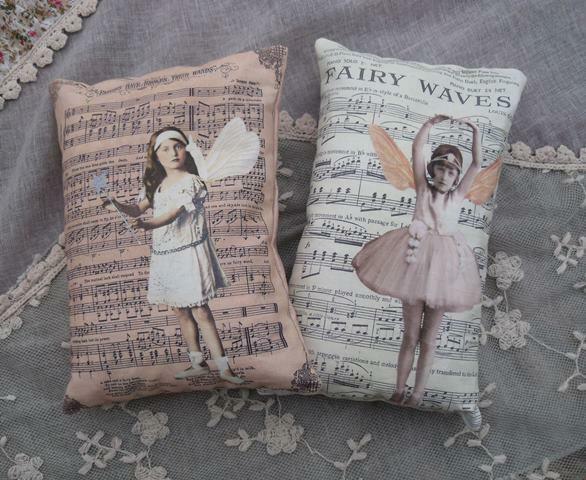 I take part in lots of different craft fairs and markets, mostly in London and the South. If I can get to it easily on public transport with my heavy suitcase (‘The Beast’) then I’ll give it a go! I also exhibit in the Brighton Festival Open Houses. I’d like to be able to devote myself purely to Shark Alley, get more media coverage and make my living entirely from it. 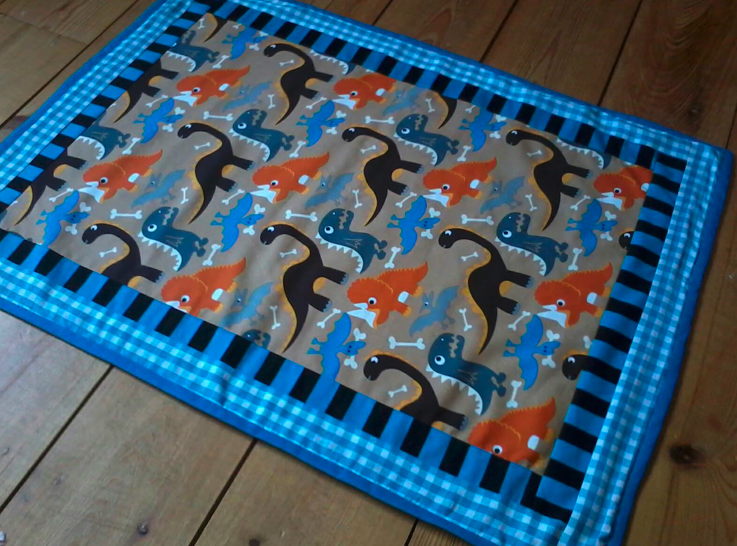 I’d also like to get into products that feature my designs, but that I don’t have to make entirely by hand. I enjoyed the day very much. Claire had put in such an admirable amount of hard work and there were lots of lovely little touches to welcome stallholders on the day. 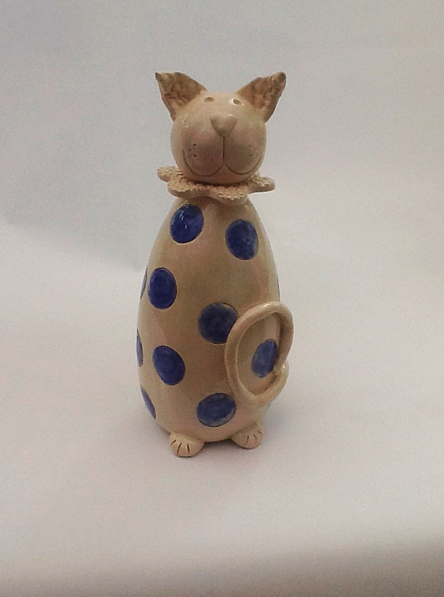 Hello, i’m Lisa the maker behind Lubilou Ceramics. 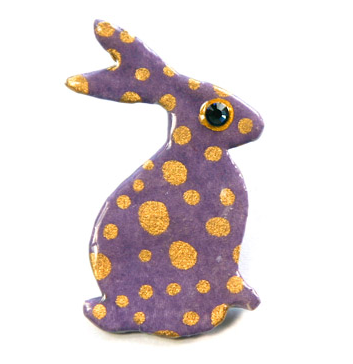 I play with clay and make sheep, chickens, harebbits (a cross between a rabbit and a hare) brooches and other things that take my fancy. I started to play with clay a few years back, I made a bull and he was very serious! I started Lubilou about 18 months ago and now have much more fun. 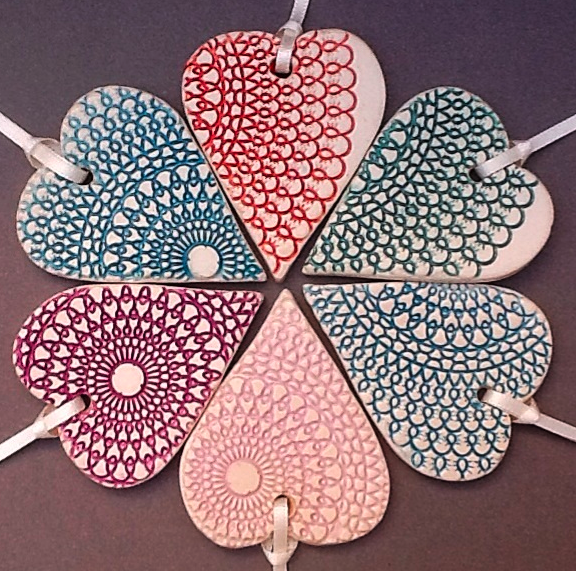 My hanging hearts and butterflies are pretty popular. 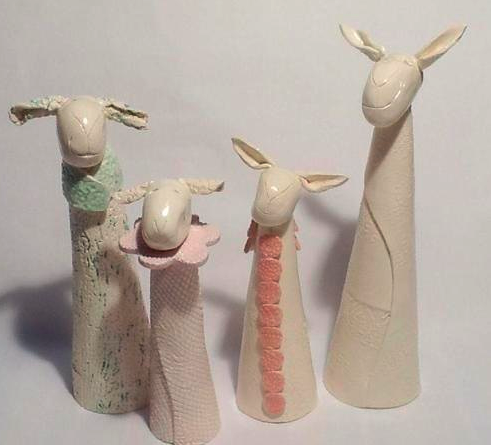 Time out from daily life, excitement and anticipation when I open the kiln, making up the names and likes for the sheep and seeing other people smile. 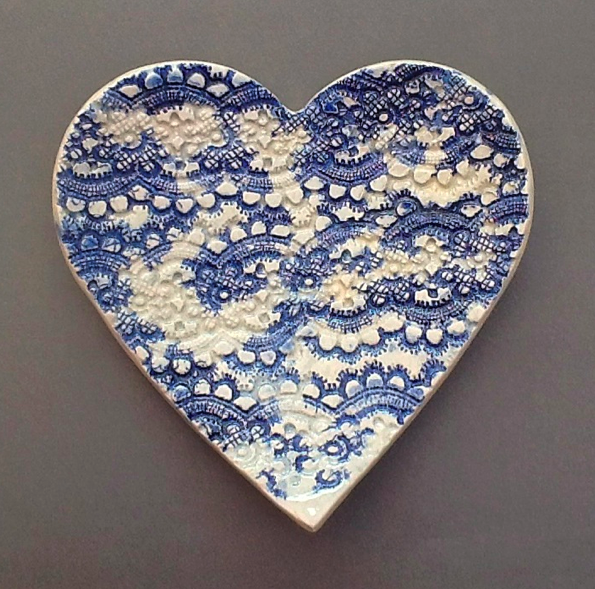 Yes, I take part in Makers Boutique and also in the exhibitions that they run at the Brighton Fishing Quarter Gallery. This year I am taking part in Handmade with Love @Trinity an AppleDucks event. I’d still really like to be able to spend more time making and i’d love to get to a point where I have enough stock to do lots of different art & craft fairs and to keep my online shop full too. I absolutely loved it. I was very impressed with the organisation, the fantastic atmosphere and the variety and standard of the sellers . I am very excited to be returning. 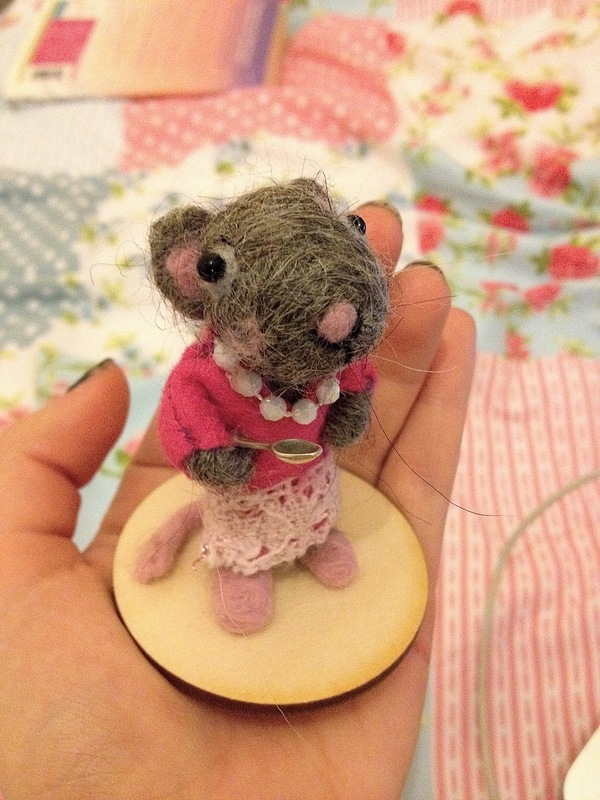 “Nothing pleases me more than creating a unique personal item from scratch”– Natasha, Jelly Roos. I’m a mum of three who loves creating, my children are my inspiration daily and my support with regular comments of ‘can you make one for me? !’ From a fairly formal art education at GCSE and Foundation level, my creativity has since taken a more organic path. Making things for my children, using my creativity in my jobs and now finally releasing some of the ideas filling up my head into the world of Jelly Roos. I like to make beautiful, useful objects and this forms the bases of my designs. Nothing pleases me more than creating a unique personal item from scratch and so many of my items have individual details that I don’t reproduce. I’ve been working under the guise of Jelly Roos for about a year now. 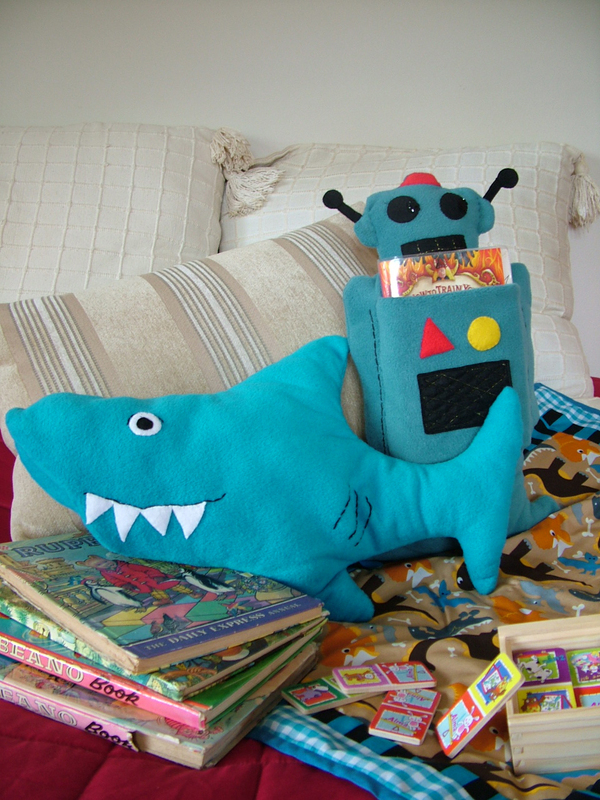 Its changing all the time, but blankets and book bugs are popular commissions. I love the design process from that spark of an idea, making a pattern and finally creating and adding those impulsive details. I enjoy that nothing is static and I can be making different items every day. 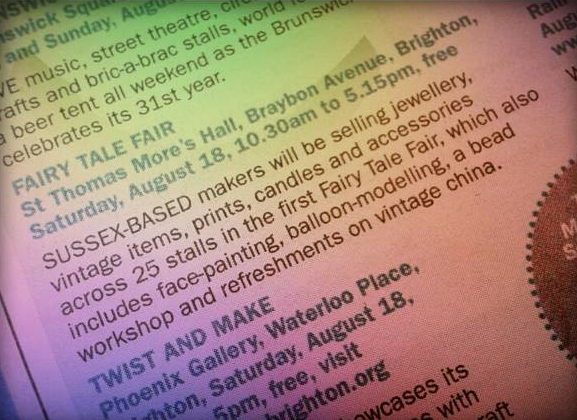 I’m trying out different fairs all around Sussex, I’ve exhibited at Brighton craft fair and others outside of Brighton. I will be in Seaford 24th-26th August. To continue pleasing people with my creations and to broaden my online presence. It was such a good atmosphere with great fellow stall holders, lots of visitors through the doors and such brilliant organization. I design and illustrate greeting cards. I have now designed for the high street for 10 years and am currently concentrating on my card work although many other exciting projects in the pipe line. I have been working on my cards for just over a year. certain designs are coming up as most popular, my umami heart, little tweets balloons and my mischief dino boy! The freedom to create what I want and then get amazing feedback. I have just got back from my first trade show PG Live in London which was a huge success. 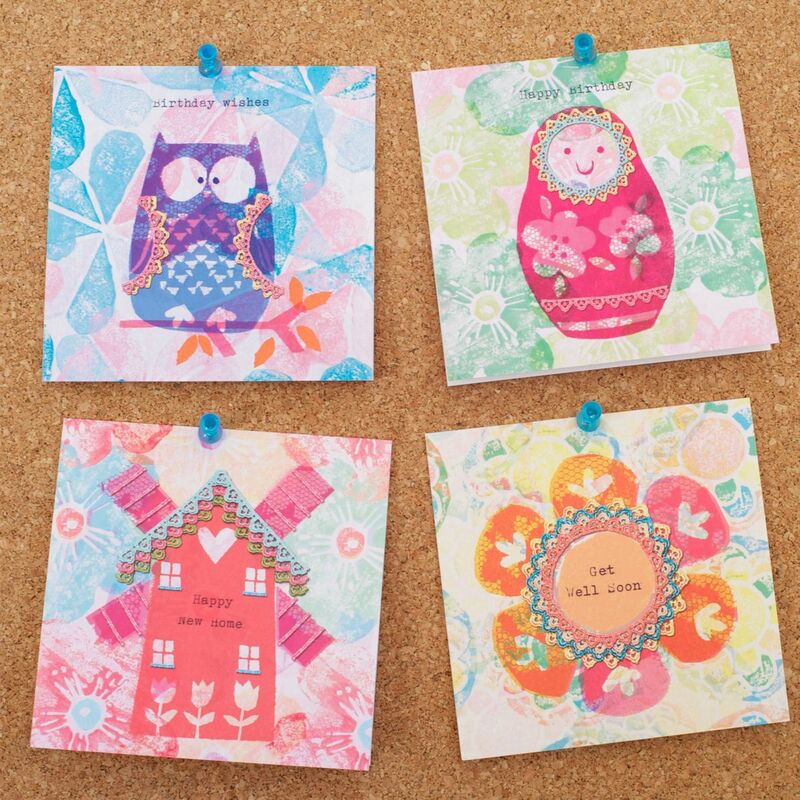 I have so many, to expand my card range and work on lots more exciting projects designing many other items/maybe a book. I have made whales in the past and there are some more of these on the way too. I have been lucky enough to have taken part in 3 Fairy Tale fairs now and I just love them, claire works her A** off doing tons of fab promoting and there is always a great buzz. 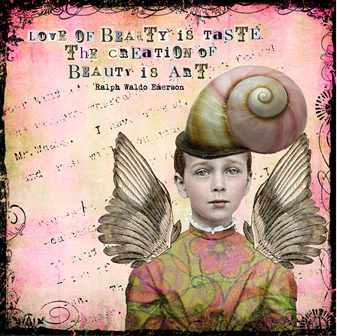 I am a self taught Mixed Media & Altered Artist who enjoys creating whimsical art using vintage photos, materials and findings. I live in the Sussex Countryside with my husband and young twin boys. 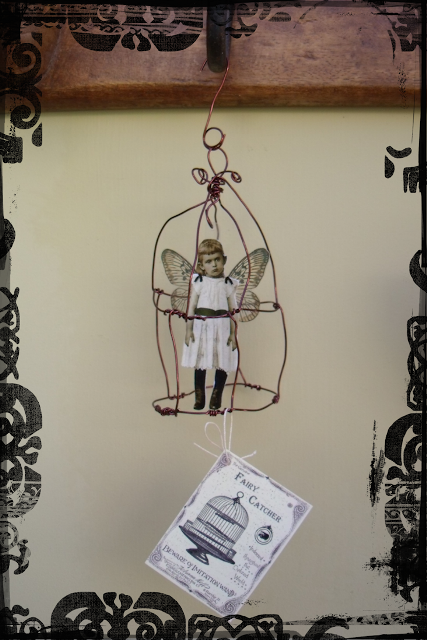 My creations include Bottled & Caged Fairies and Mermaids, unique Greetings Cards, Luxury Gift Tags, Whimsical Bookmarks and Cute Fairy Magnets, Magical Jewellery pieces, Home décor items, Decorative Collages, and Altered Books. 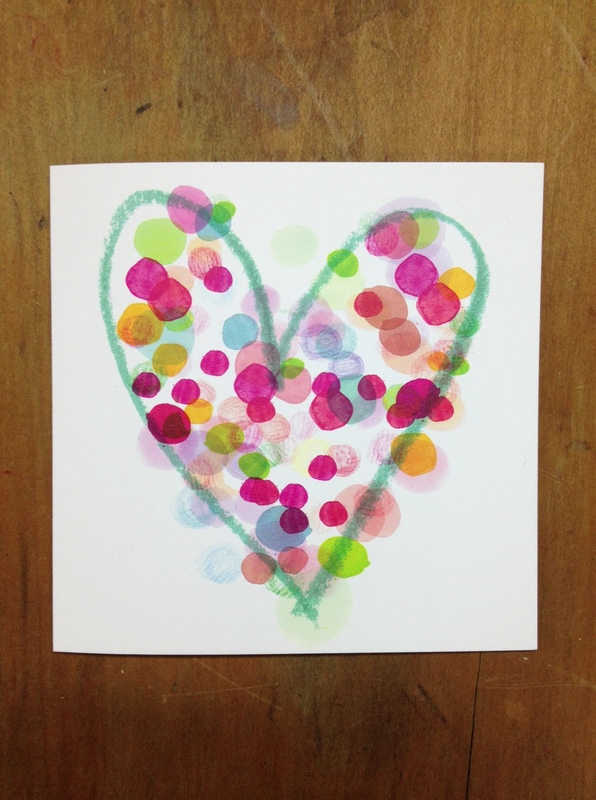 I began creating whimsical Artist Trading Cards when my twin boys were babies, some seven years ago now, the rest of my creations evolved over those seven years to where I am now. I have several popular items, but the pieces that get the most attention, particularly at Fairs I attend are my Fairy Jars, each Fairy is suspended inside the Jar on an invisible thread which means that the Fairies appear to flutter and move inside the Jar. 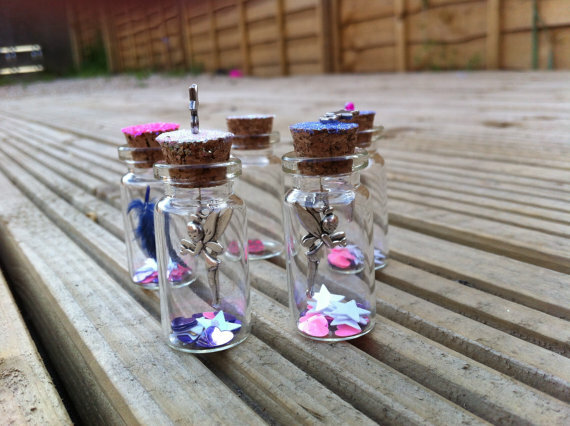 I also offer a Bespoke Service where you can have a loved one bottled as a Fairy or Mermaid, these make lovely gifts and are also popular as Bridesmaids Gifts at Weddings. I love attending Fairs and having all my hard work on display, meeting people and chatting about my creations and seeing clients faces when they come across my Fairy Jars for the first time, or read one of my cheeky Fairy Cards, it’s great to make people smile through my Art. For the past three years I have taken part in the Wealden Times Mid Winter & Mid Summer Fairs, I also attend the Kitsch & Stitch Vintage & Makers Fair in Cranbrook, The Pop-Up Vintage Fair in Hassocks & Lewes and have my Art on display in the village of Firle for Artwave, the Lewes Open House & Studio Event. In addition I have Open Studio Events that I run myself at The Little White Studio in Horam where I teach workshops with my Artist friend Karen. I am currently working on a range of “Printed” Art Greetings Cards that I plan to promote to small Gift Boutique Shops and Art Galleries in the hope that they will stock and sell the Range. 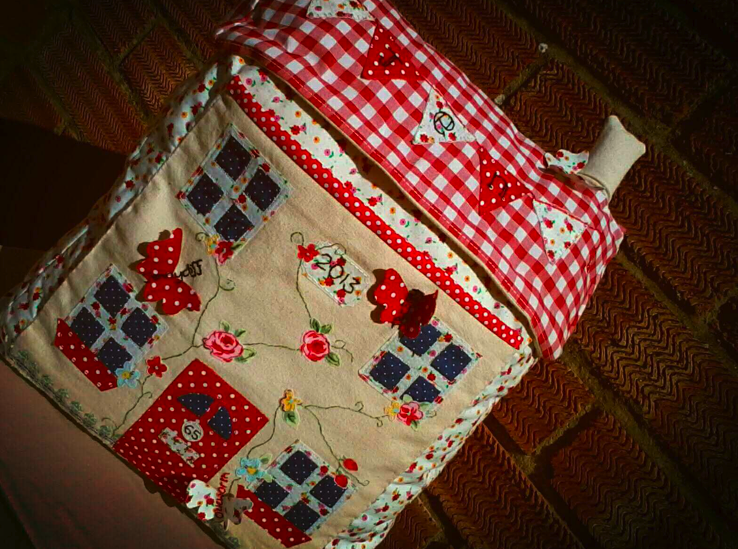 I am also hoping to sell some of my Bespoke Items, such as my Fairy Jars through Not On The High Street. I thoroughly enjoyed the Spring Fair earlier this year, it was a fantastic atmosphere, and a joy to be a part of a Fair that so aptly fits what I do. Head over to our Stall holders page now to see our list of confirmed stall holders for the summer fair. Take a browse through their sites and wonderful creations! We can’t wait to welcome back our regular sellers and also lots of lovely new ones too! Summer Fair Date Announced as Saturday 10th August! We hope lots of you can make our unique whimsical craft fair! There will be over 35 craft stalls, a vintage tearoom, craft workshops, a raffle and much more! Interested in applying for a stall? Applications will be sent out this weekend! Email us to be added to the list. 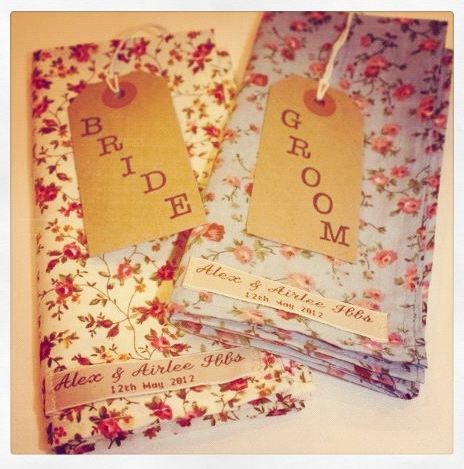 Look out for our summer stall holder blog posts appearing soon! 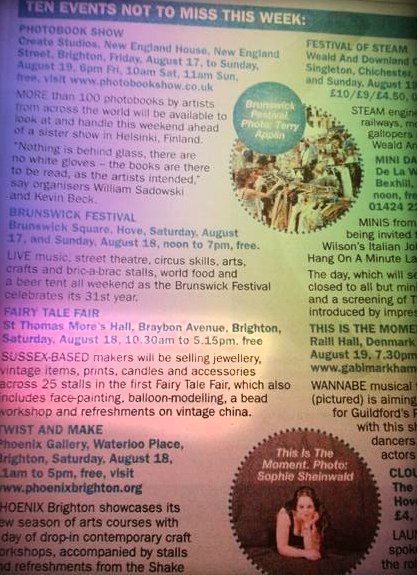 Who has seen us listed in the ‘Top 10 Events Not to Miss This Week’ in the Argus, Brighton’s biggest newspaper! We are very excited and honored to have our event listed out of all those happening in Sussex this weekend! The Fairy Tale Fair is tomorrow! How very exciting. We here it is meant to be nice and sunny as well- yay! Over the last 7 days we have been posting 7 reasons to visit us on Twitter and Facebook- we thought we’d list them on here as well! 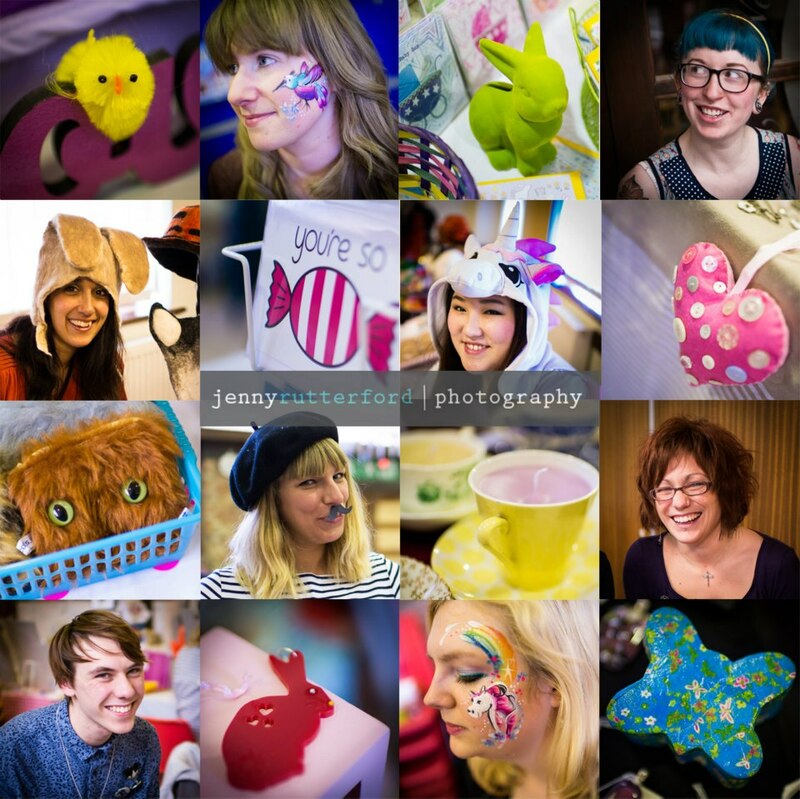 Reason 7 to visit us on the 18th: We have fantastically talented stall holders, see their interviews throughout this blog! Reason 6 to visit us on Sat- Something for the kids! Been everywhere and done everything in the summer hols? Pop along and keep them busy…with face painting, bead workshops, balloon modeling, cakes, handmade crafts, candy floss, a raffle and bubbles! A fab day for all the family! 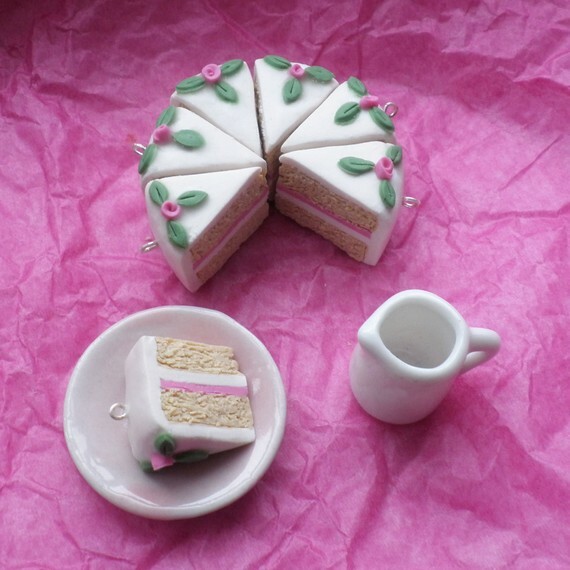 Reason 5 to visit us this Sat- Yummy magical cakes and tea & coffee served on vintage china by Mayflower Events! Go on, TREAT YOURSELF! 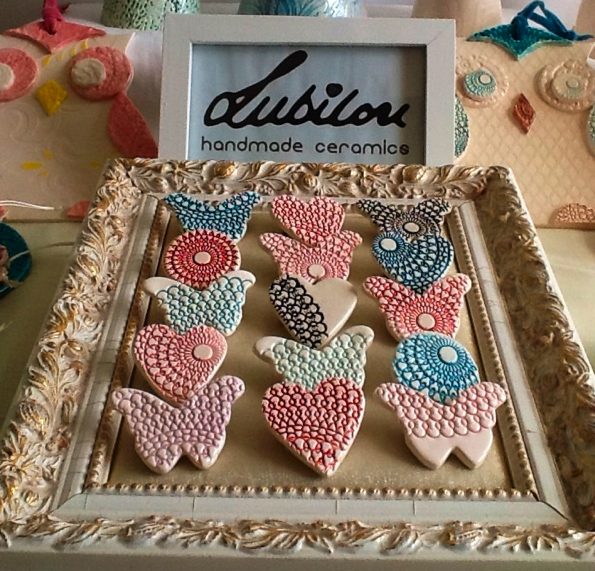 Reason 4 to visit us this Sat- Handmade crafts by local stall holders! 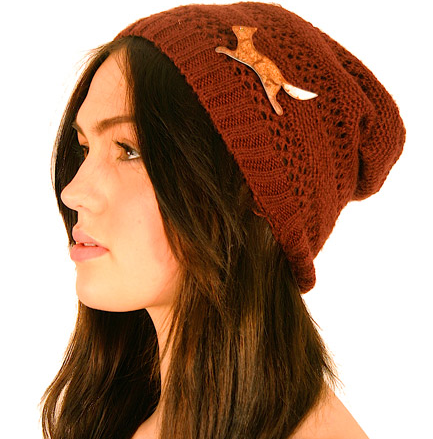 All hand crafted with love by local people from the Brighton area- please support them & their fab work! Reason 3 to visit us this Sat- The rain can’t stop us! We hope the sun will be shining on Sat, but if not we are inside, so take shelter with us! And enjoy a nice bit of cake and tea while your there! 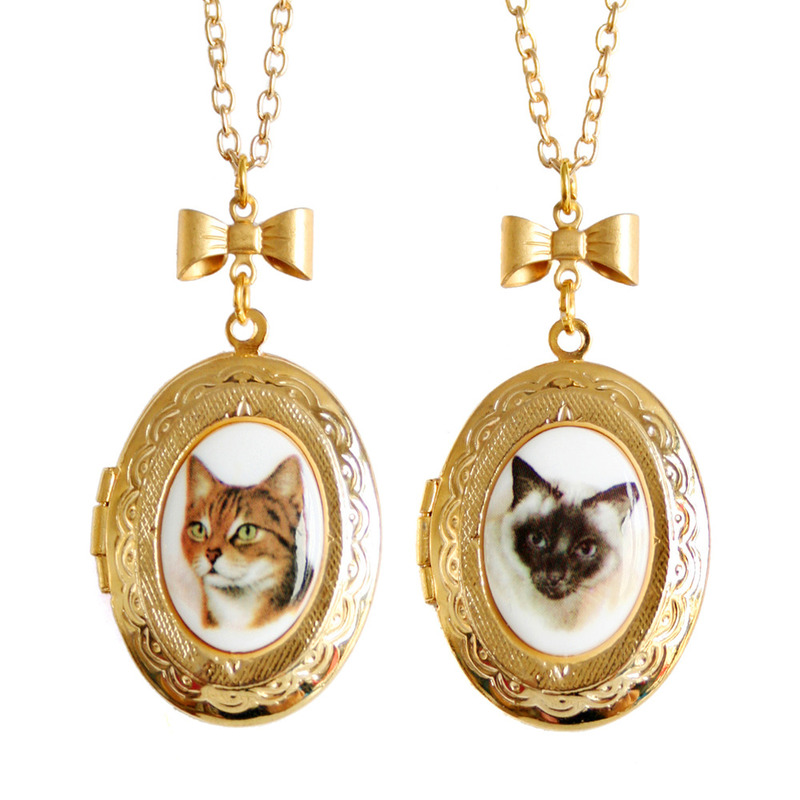 Reason 2 to visit us this Sat- Beautiful jewellery and accessories! Looking for something special? 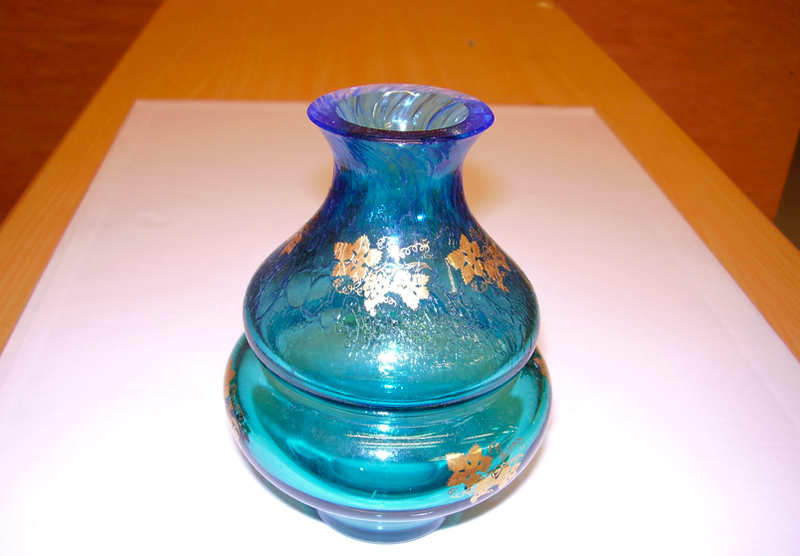 We have great affordable gifts with some wonderful and unique pieces! Reason 1 to visit us this Sat- A great day out for all the family! 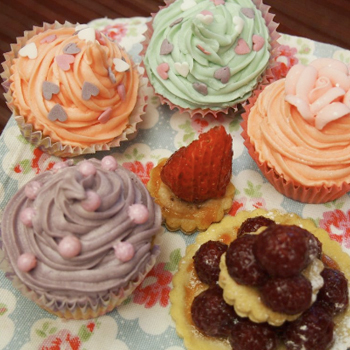 There is something for all- crafts, cake, jewellery, workshops, face painting, beauty, candy floss and more! Don’t miss it!!!! Hope thats enough reasons to persuade you to come along! We promise not to disappoint you! Open from 10.30am tomorrow- DO NOT MISS IT!